Barley+ is a delicious range of nutritious snack bars that contain a unique Australian Barley called BARLEYmax. 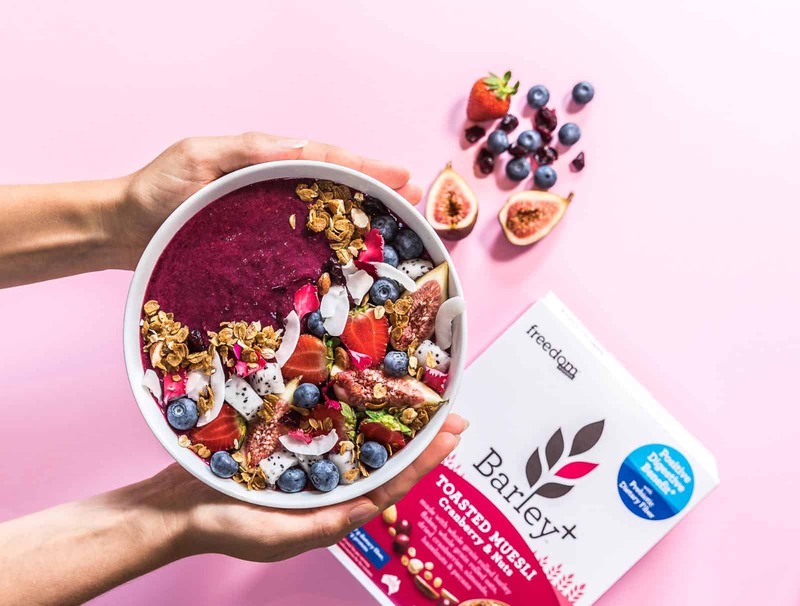 BARLEYmax is a non-genetically engineered Australian super grain that contains prebiotic dietary fiber to help feed the good gut bacteria found in your stomach. Soluble Fiber and Insoluble Fiber are 2 important types of fiber that can be found inside of our snack bars. These, together with beneficial resistant starch, work to promote digestion and can get you on your way to feeling positively good! 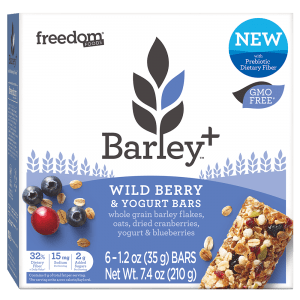 And it doesn’t stop there either… Not only do our Barley+bars include juicy Cranberry and Blueberry pieces, they also contain 30% of your daily values of fiber and whole grains, 3g of protein and less than 1 teaspoon of sugar in every serve! Ingredients: Whole Grain Rolled Barley Flakes^, Whole Grain Rolled Oats, Inulin Syrup, Brown Rice Syrup, Pumpkin Seeds, Dried Cranberries (Cranberries, Sugar, Sunflower Oil), Canola Oil, Puffed Rice (Rice Flour, Sugar, Salt, Sunflower Lecithin), Inulin Powder, Dried Blueberries, Yogurt Pieces (Sugar, Palm Oil, Yogurt Powder (Cultured Milk, Whey) Sorbitan Tristearate, Polyglycerol Polyricinoleate, Citric Acid), Glycerin, Natural Yogurt Flavor, Natural Blueberry Flavor, Tocopherols (Preservative).